On 6 June at 10.00pm CET, Barça TV, Esports3 and Barça Video will be releasing the ‘Luis Enrique, Lucho, Luis’ documentary produced by FC Barcelona. The documentary is 52 minutes long and it speaks to those who were closest to Luis Enrique in order to paint a picture of the ex-Barça manager’s personal and professional life and to thank him for his three years of dedication and commitment to the Club. Honest, fun, generous, direct, brave and Barça through and through. 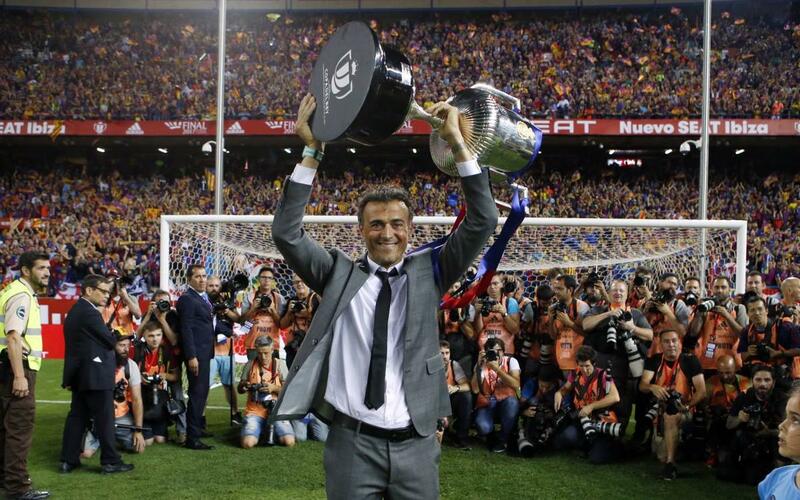 This is how ‘Lucho’ has been described by those who know him best. The people he has worked with for three years and who he has shared his other passions with like cycling and long-distance courses. What was the team talk like before the Berlin final? What did Luis Enrique say to his players at half-time in the return leg against PSG? How many bags did he buy to go to the Sables marathon? All this and more is answered by his staff and the people who knew the blaugrana coach during his time with the Club. You can watch the promotional video here.